The classic banana oatmeal flavor combination gets a bit more interesting with the addition of your favorite candy bar. 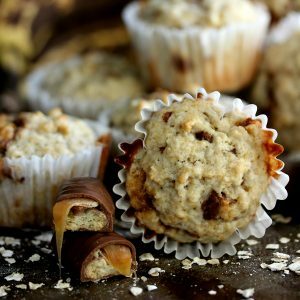 Caramel, chocolate and a cookie crunch make these four ingredient Twix Banana Oatmeal Muffins taste like luscious bites of Bananas Foster with a hint of chocolate. It’s hard to believe that Halloween is a week from today. Where has October gone? I finally went and purchased a trunk load of candy for trick-or-treaters at Costco this morning. I’ve heard that if the weather is nice, houses in our neighborhood get 300+ kids ringing their doorbells for candy. I totally believe it as even last year when it was pouring rain we were passing out candy like there was no tomorrow. There’s only one thing that I don’t like post-Halloween. The endless amount of candy that my children have brought back home with them. They enjoy a few pieces the night of and a piece a day afterwards but then it just sits in a bowl and taunts me and takes up valuable kitchen counter space. Last year, I decided to use it to create my Halloween Dessert Pancakes. This year, I came up with a new plan. This plan just happens to include candy bars for breakfast. You’re down with that, right? Thought so! 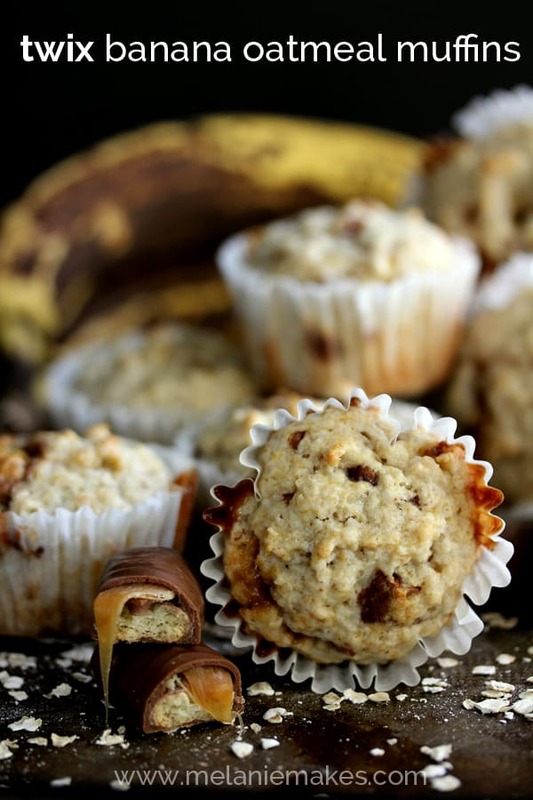 That’s why the day after Halloween, I’ll be serving these Twix Banana Oatmeal Muffins. These muffins use only four ingredients, including three cups of my Homemade Muffin Mix. A quick spin in the mixer and they’re in the oven before you know it! The classic banana oatmeal flavor combination gets a bit more interesting with the addition of sliced Twix candy bars. 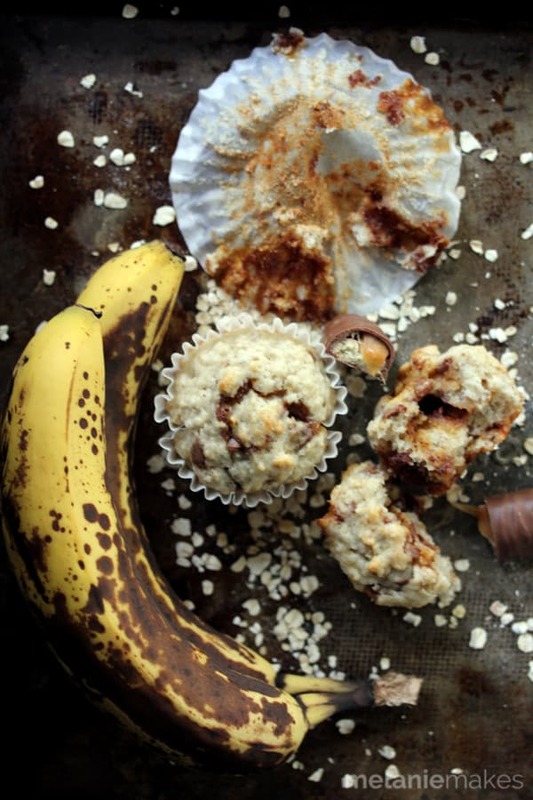 Caramel, chocolate and a cookie crunch make these muffins taste like luscious bites of Bananas Foster with a hint of chocolate. In muffin form, obviously. And, please tell me I’m the only one that instantly thinks of this Seinfeld episode with the mere mention of a Twix. Perhaps these muffins belong in a candy muffin line-up all their own! In the bowl of an electric mixer, add banana and mix until completely mashed. Add muffin mix and milk and mix until just combined. Fold in Twix candy bars. Using a large cookie scoop , add one scoop of batter to each muffin well. Bake for 20-22 minutes or until a toothpick inserted in the middle removes cleanly. Inspired by Twix N Banana Muffins . Here’s to making a dent in the Halloween candy that will litter your home on November 1st and the days after. At least now you’ll have the perfect breakfast to face the day and the many foil wrappers that you’ll face! 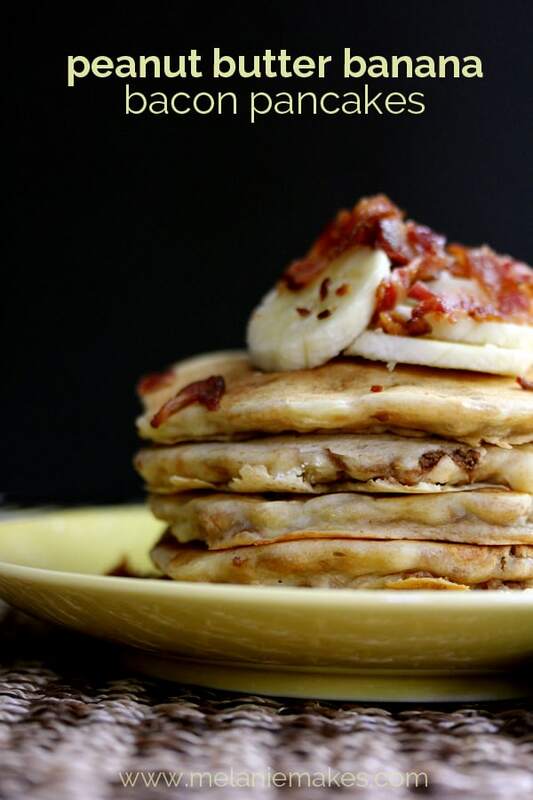 Looking for more great banana recipes? I partnered with Food.com to obtain the original recipe, but received no compensation for this post. All thoughts and opinions, as always, are my own. i try not to have twix in the house. I cannot eat just one, I must eat them all in one sitting and then be sooooo sick! Lol. Can I sub chocolate chips in the same amount? Hi, Tiffany - I know what you mean, I love Twix! 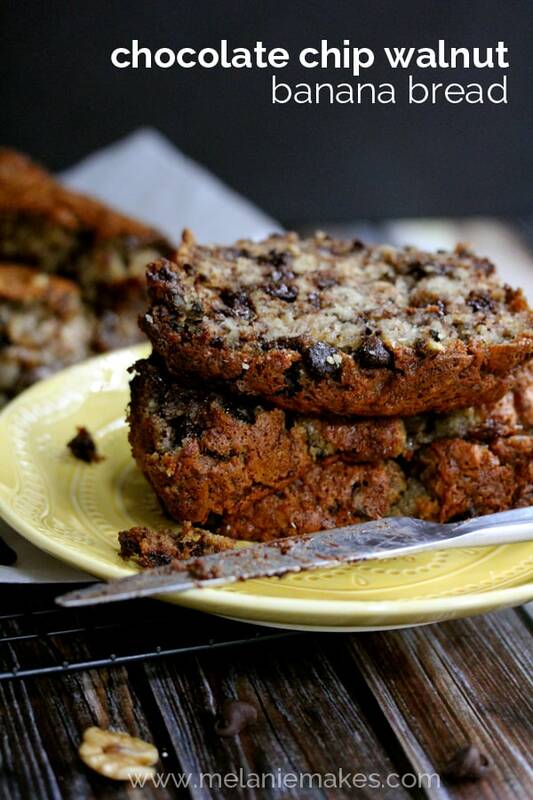 I haven't tried subbing chocolate chips for them but do have a great oatmeal chocolate chip muffin recipe I'm sure you'd love! Candy muffins - how genius! That's my kind of breakfast! :) Gorgeous photos! Oh yes, this sounds like breakfast to me! Looks delish! Candy for breakfast = yes! I know my kids would lose their minds for these!! 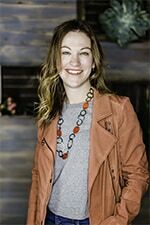 Now you have the perfect excuse to buy more, Heather! Girl, twix is my weakness!!! And now its perfectly acceptable to eat them for breakfast! 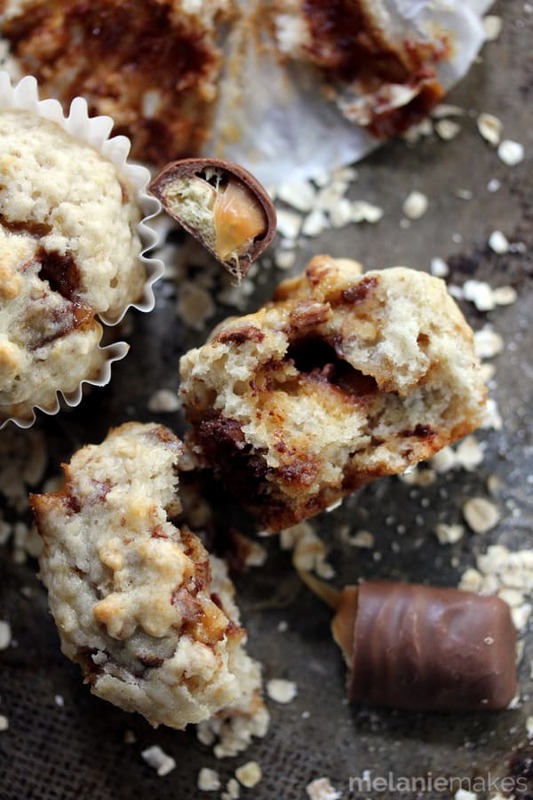 Twix are my favorite candy bar when I do indulge, yet never thought of putting them in muffins before.. Genius! Twix for breakfast = a great start to your day, Carrie! Your mother in law sounds like mine, Deb - a total enabler! Holy guacamole! 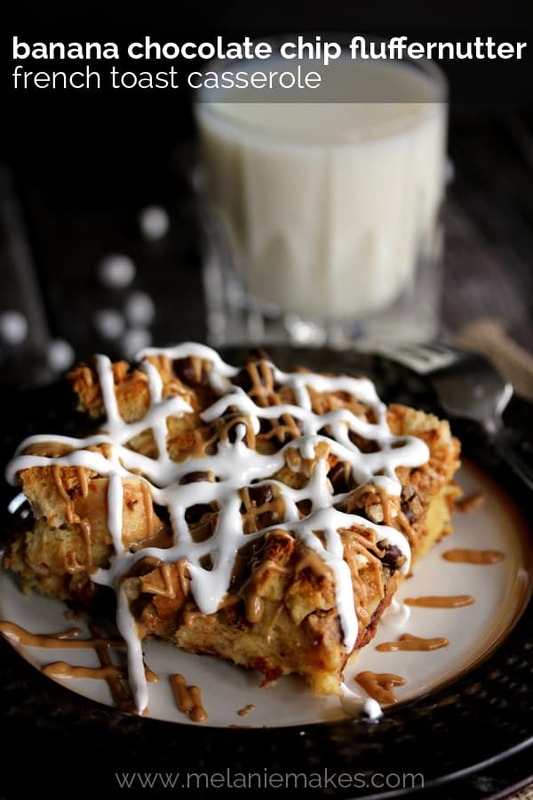 These could not sound more delish! Love them! These muffins are such a great idea! 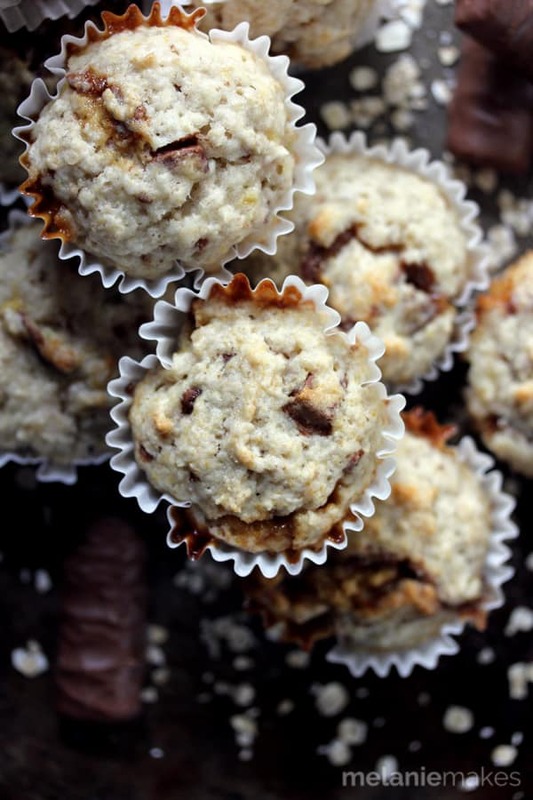 I love making fun muffins, and great use for all that leftover candy! This is such a great way to use up halloween candy! Love this! Thanks so much, Joelen - so appreciate it! Yay Seinfield! I think I need to steal some twix out of my kid's candy bags. They'll never miss them, right? I totally advocate the stealing of candy, Rachel! ah yes....the season of baking candy in everrrrything :P love it! These muffins look SO good, and like a great alternative to my usual go-to of "put it in cookies"!